Concrete sweating is the phenomena of accumulation of water droplets on the surface of concrete due to the difference in temperature of the outer environment and concrete. A sweating concrete floor can be a real nuisance that can create a slippery surface and make the floor damp. In this article, we study the phenomenon of concrete sweating, its causes and prevention methods. When the warm and humid air enters the structure through the openings such as door, windows and ventilators, the humid air diffuses itself inside the structure and it condenses on any surface that is at or below dew point temperature and forms water droplets on the concrete surface. For example, ambient conditions within a structure have been in the range of 70º F and 50% relative humidity for several weeks and the slab surface temperature is also close to 70º F. A weather front moves in with 80º F air and 90% relative humidity. As the warmer, moisture-laden air makes its way into the building, any surface that is at or below 77º F will be at dew point. As the concrete surface is at dew point, the moisture of the air tends to condense on the concrete surface where it is not readily absorbed and form water droplets on the surface, thus leading to concrete sweating. This phenomenon is popularly known as Sweating Slab Syndrome. To explain this phenomenon by practical example, it’s the same condition that causes the outside of a cold beverage container to get wet on a warm, humid day or the surface of your car to get wet when it’s left outside on a cool, damp night. As explained above in the phenomenon of concrete sweating, this is the major cause for the concrete sweating. When relatively warm, moist air comes in contact with a very cool concrete slab, the cold temperature of the concrete will cause the air that comes in contact with it to cool. If the air cools at or below the dew point, it will begin to condense on the surface of the concrete, thus causing the wet and sometimes misty looking concrete surface. In the structure such as retaining concrete wall, breast wall which has a wet soil on the other side of it. Though the concrete is solid hard and dense materials, it has minute capillaries that facilitate the movement of water droplets from one side to another and thus making the concrete sweat. Fig 2: Concrete sweating due to wet adjacent soil. If the air above the concrete is warmer, the moisture within it will rise to the surface and evaporate. This can create a wet surface if there is enough moisture. It can also cause efflorescence and make the concrete surface wet. The salts have a property to attract moisture from the air and also possibly from within the concrete which is due to hygroscopic nature of the salt. The salts deposition can be due to any reason, either from the concrete itself or any external application. This caused for concrete sweating is not usually found in the main concrete slab as utmost care is taken for compaction and surface finishing. This is caused in the pour back strips inside the perimeter of tilt-wall. When tested, the porosity of a pour-back strip is generally found to be greater than that of the main floor. The most likely reason is that pour back strips are often not finished in the same fashion as the main floor and may not have received any sealer/densifier treatment that was used on the main body of the slab. The cleanliness of the slab is another potential contributing factor. 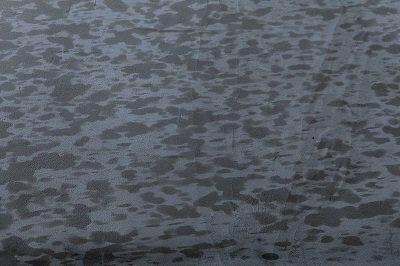 A slab surface covered with black rubber tire marks or exhaust deposits can also reduce surface permeability. As a slab surface becomes less permeable, not only will it become less absorptive to moisture from above, but if an effective vapour retarder is not in place beneath the slab, moisture levels within the concrete and near the slab surface will increase over time. The concrete surface must be kept clean from any salts and deposits. A good way to do this is to use commercial cleaning agents to scrub your floors and vacuum your machines. This must be properly done to ensure safety measure for employees as well as protecting your assets. 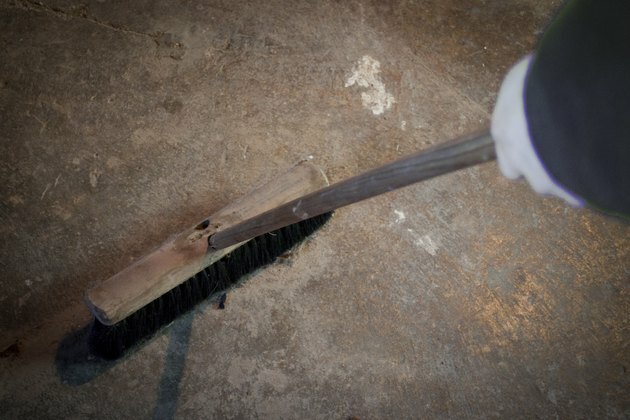 Fig 3: Scrubbing the concrete floor for slat deposits. Often, sweating slabs occurs because air inside the structure can’t easily flow out. If the air movement inside the building isn’t sufficient, it is necessary to find a means to de-stratify the air such as an HVLS Fan. 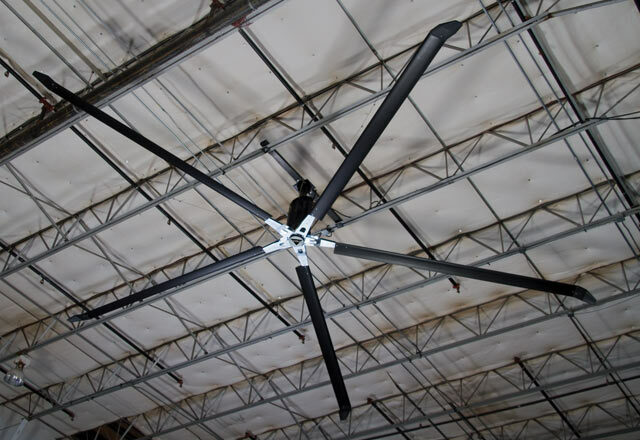 use of HVLS fans reduces ceiling-to-floor temperature differential and also increase surface evaporation rate. These fans provide a cost-effective way to keep your structures cool while preventing the buildup of moisture on your floors. Use of dehumidification units to alter the interior building environment which may help reduce or eliminate sweating slab syndrome. This is a costly unit which could add on your energy bill. This can prove particularly effective where products are stored directly on the floor. 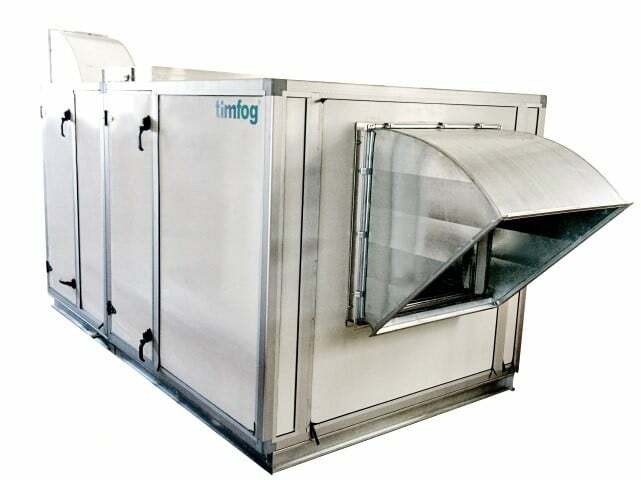 They tend to reduce the possibility of moisture rising and condensing beneath stored products.